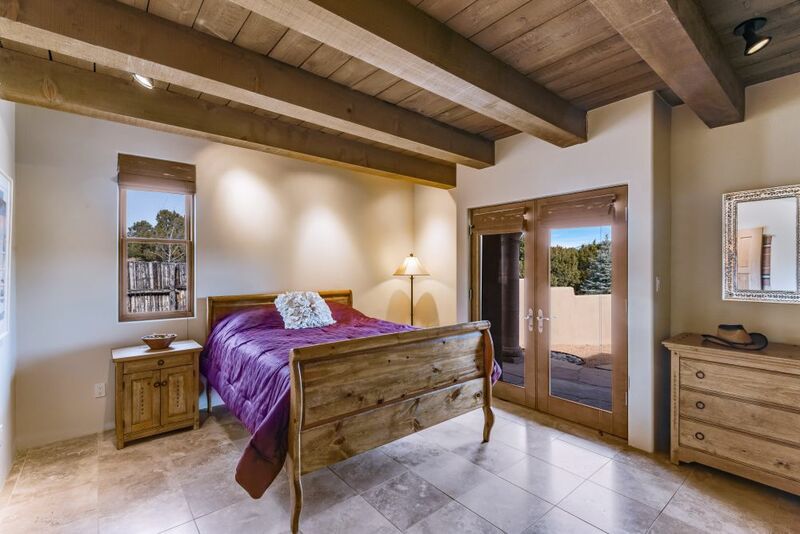 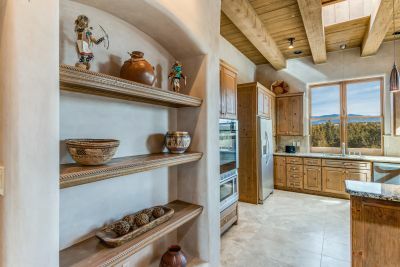 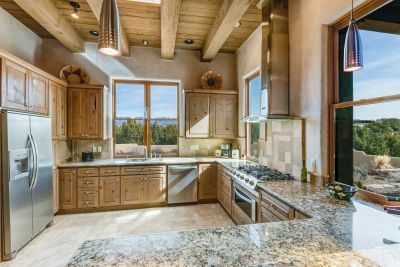 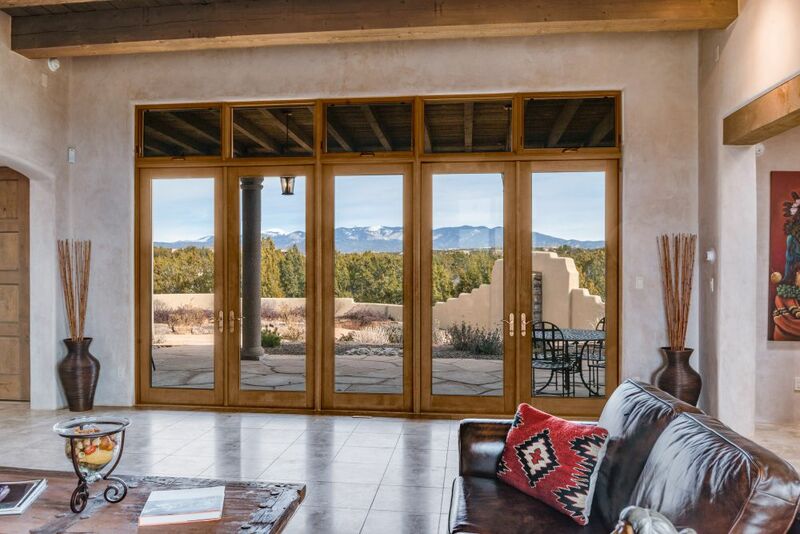 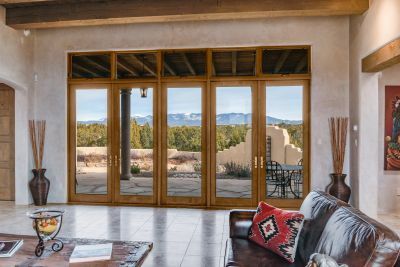 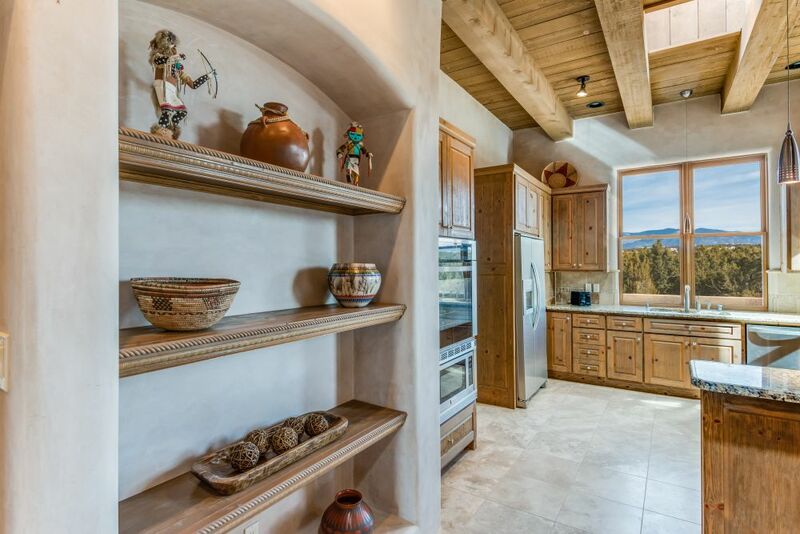 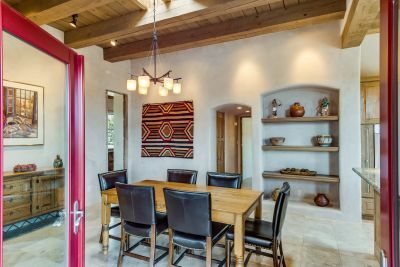 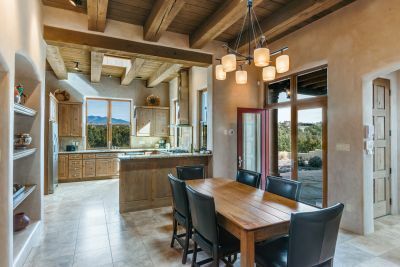 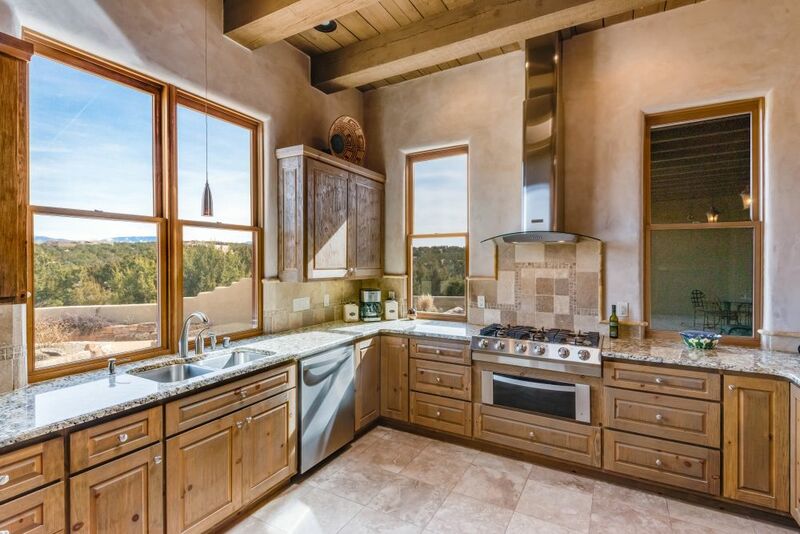 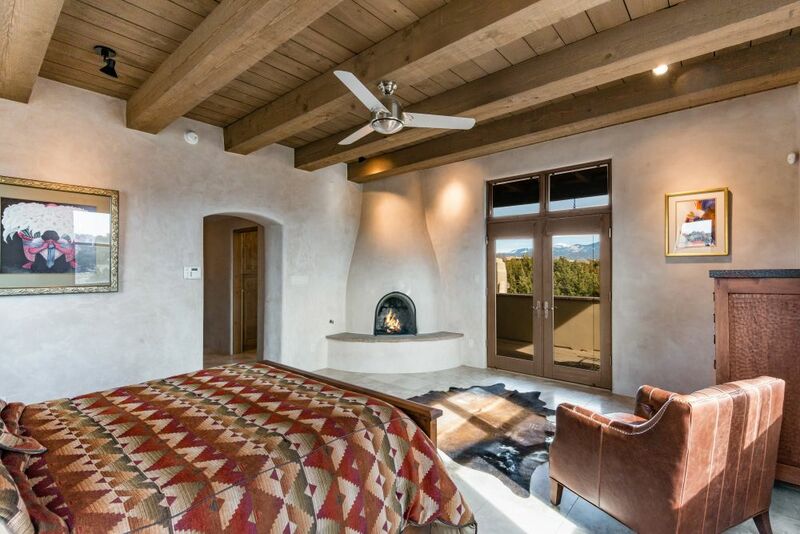 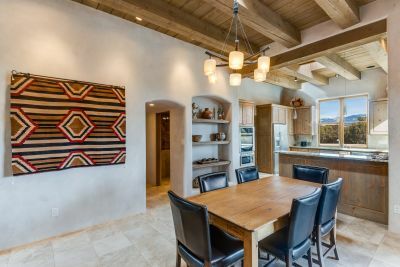 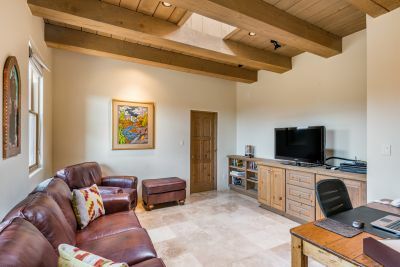 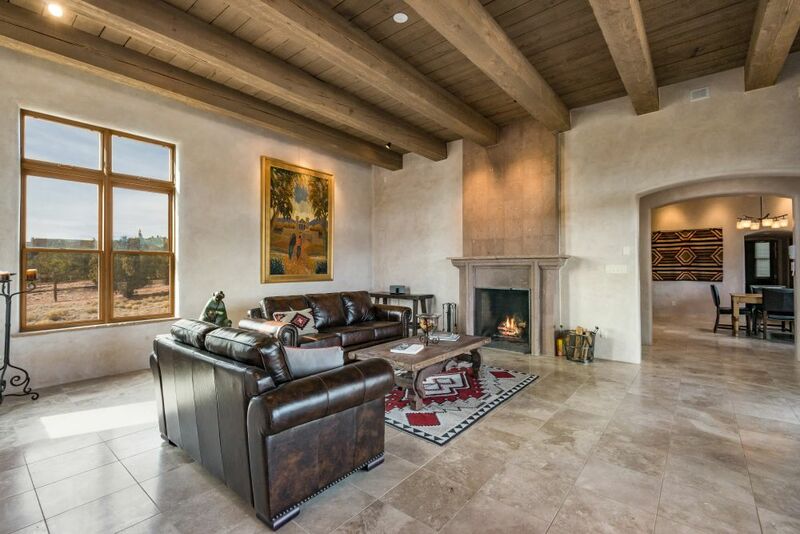 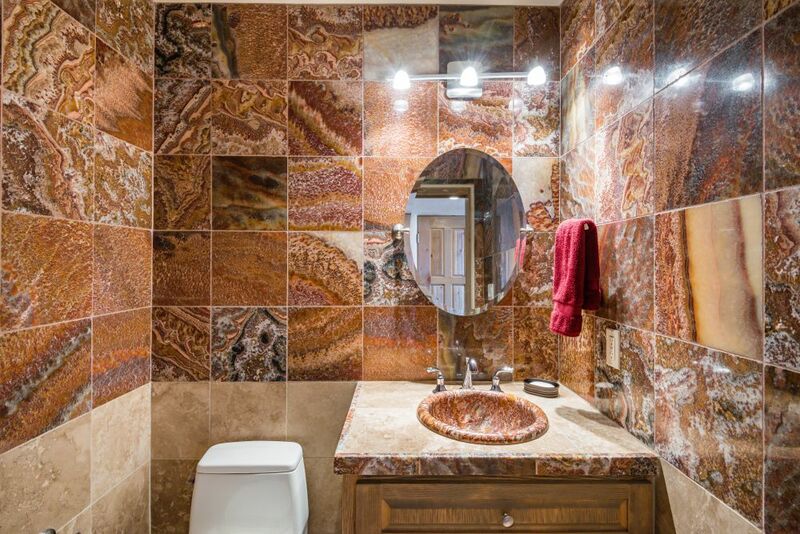 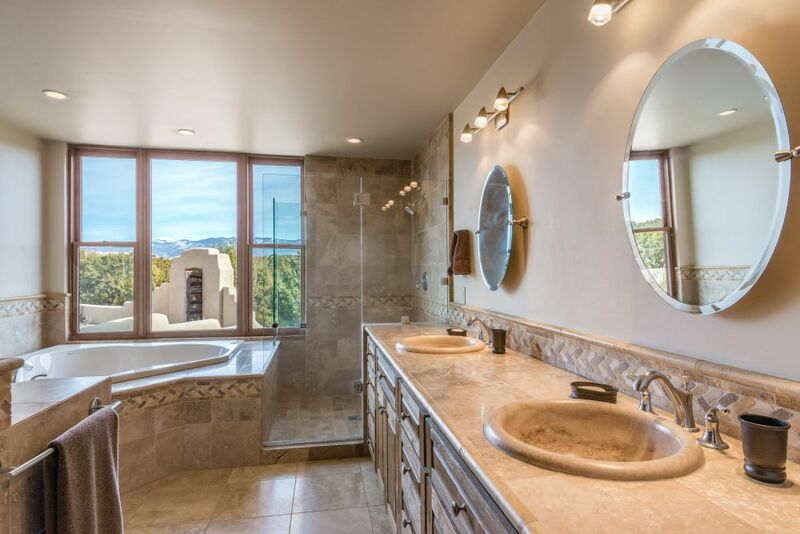 A truly special way to live; a stunning home, expansive Sangre mountain views and nestled privacy. 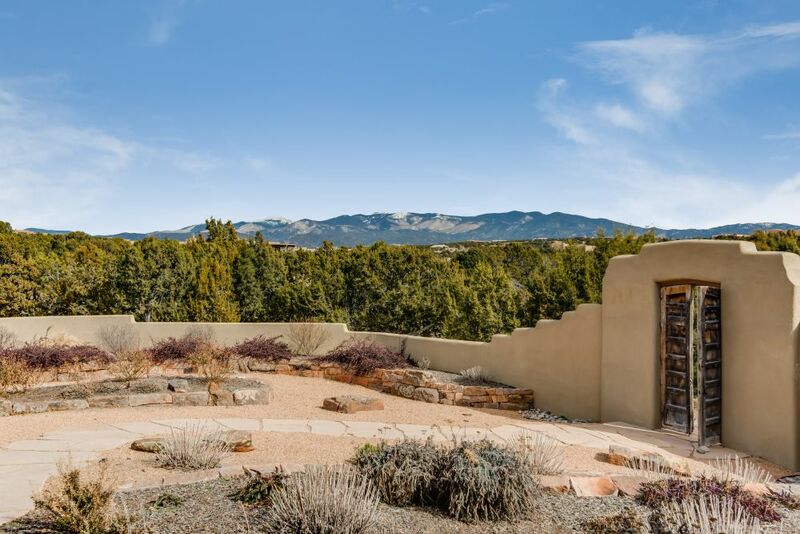 As you walk though the beautifully landscaped entry courtyard the mood is set while trees protect and views amaze. 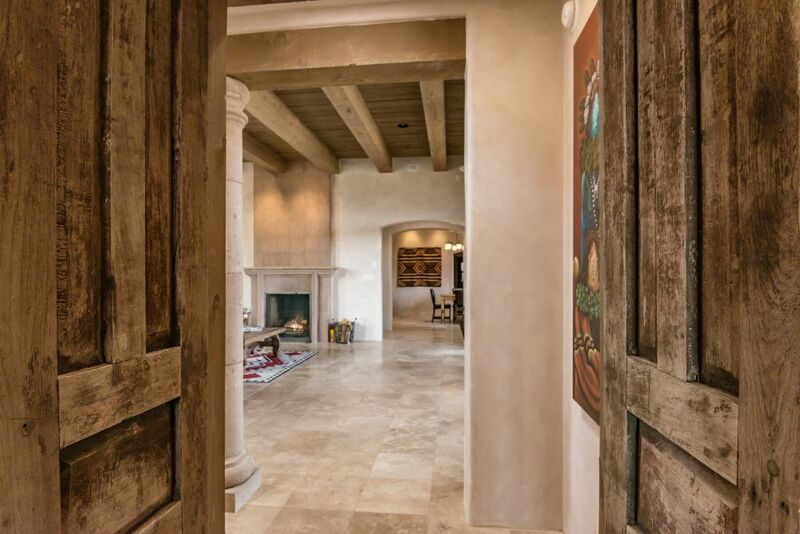 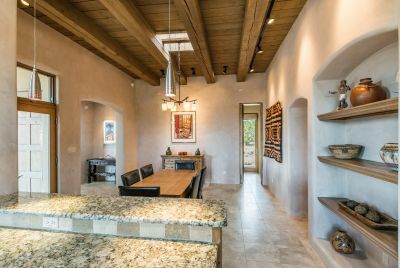 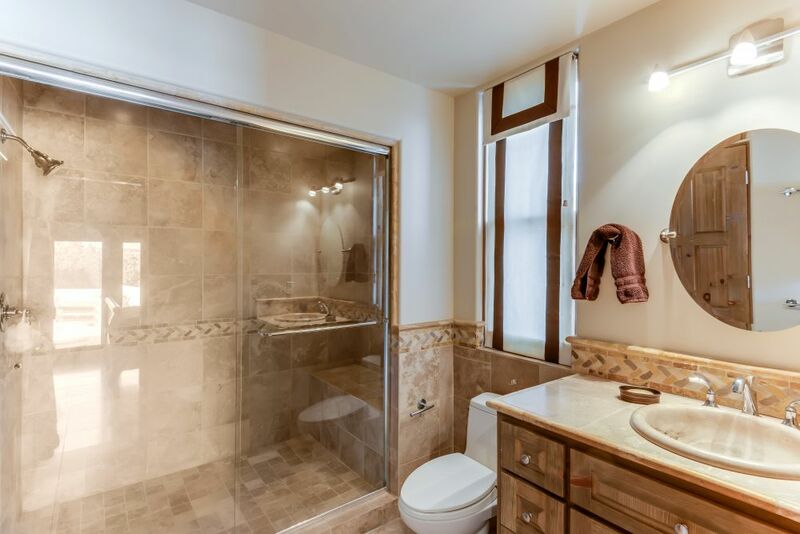 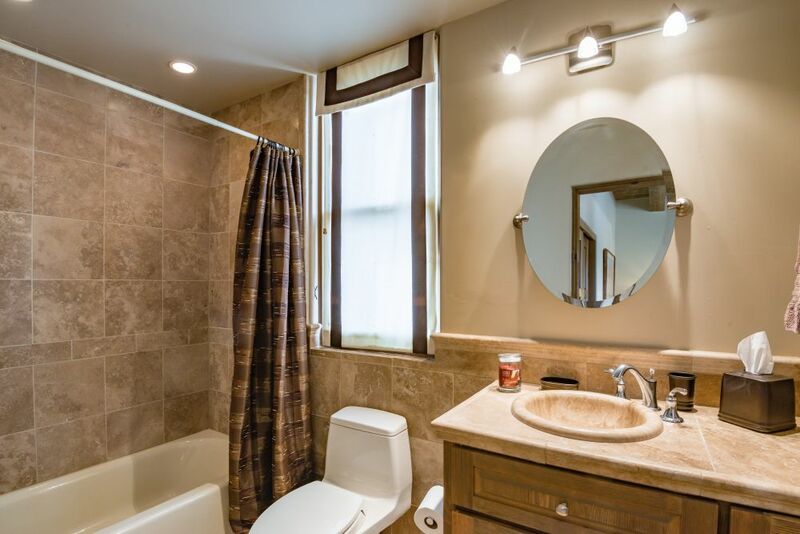 Inside you will find high-end appointments including travertine floors, luscious plaster walls, granite counter tops, beams /wood ceilings, stainless appliances, and beautiful stonework. 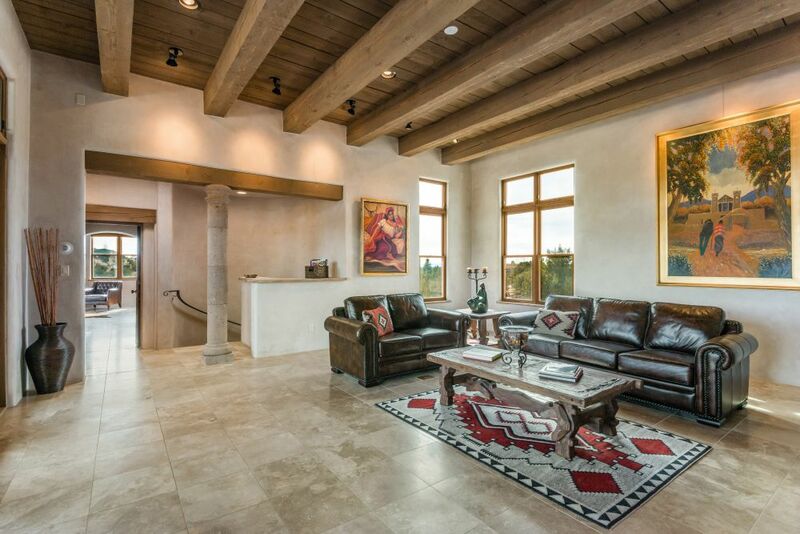 From the living room with its grand fireplace, the expansive entertaining portal, the light filled gourmet kitchen and dining areas, the master suite with kiva fireplace, private patio and spa like bath retreat this floor plan is perfectly designed to make best use of those incredible mountain views and provide comfortable living. 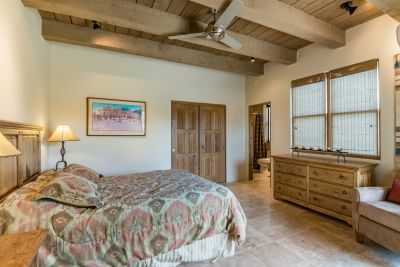 A separate guest wing features two bedrooms with en-suite baths plus a den/family room or home office. 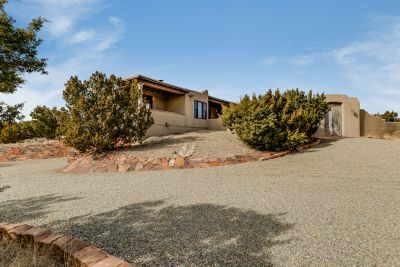 The home is approximately 2850 sqft, set on 4.38 acres, has a 2 car garage below and a fenced dog run or garden area outside.